The Postcard Pillar is produced four times a year under the editorship of Jeff Long and Laurence Eagle. Contributions are very welcome at any time - please email or post to Jeff Long. Membership of the Society can be obtained by sending a cheque payable to N.Z. Postcard Society Inc to the Secretary, with your name, address, telephone number, email address and collecting interests. The subscription for an individual or family member is $35, or $30 if paid by 30 September 2012, and $45 for an overseas member, or $40 if paid by 30 September 2012. Help Needed Please: Thanks to those members who paid their subs promptly. Did you also help by purchasing one (or more!) the items we are selling to raise some cash – 2012 calendar with terrific postcard images, set of ‘Christchurch Quake cards’, and/or the Wanganui book ? Flyers for all three were enclosed with the last sending. Editorial: Many thanks to those of you who have sent in contributions. Remember to keep them coming, preferably in electronic format, but it is perfectly fine if this is not possible. The main aim is to get your words and pictures and ideas out to our membership. In this issue we have significant contributions from Alan Jackson, Yvonne Benson, Bruce Chadderton and Trev Terry. This year the Convention will be held in Richmond (near Nelson) on 6th and 7th October, the week before the Blenpex exhibition on 12th to 14th October. An excellent opportunity to attend both events! Blenpex will have postcard classes and we expect a large number of exhibits, so it will be worth your while to attend. See last month’s posting for details. 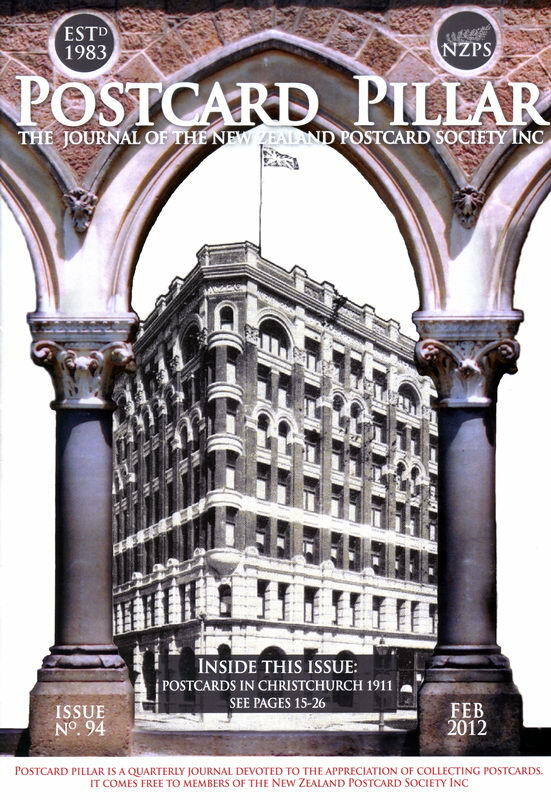 This edition’s cover picture is from Alan Jackson’s article on Penny Marvels: Postcards in Christchurch 1911. See pages 15-26. This article was originally written as part of a project to mark the Centennial of the Christchurch Philatelic Society last year. Laurence Eagle has been a member of the New Zealand Postcard Society since 1999, is on the Committee as Vice President (South Island). He is a significant postcard collector with a very wide range of collections, and has an extensive knowledge of photographers, publishers and production processes. He is one of the ‘go to’ members of the Society when members are seeking information. He is very willing to share his enthusiasm for the hobby, leading discussions at meetings, giving talks to the general public, and providing displays of up to 180 pages of A4 reproductions of local postcards showing the history of the area for each annual Society AGM, which is held in a different part of NZ each year. He has provided valuable input into the Society’s journal, making regular contributions of articles he has researched on topics ranging from his specialist collection of Gladys Goodall, through to interesting items he has recently acquired. 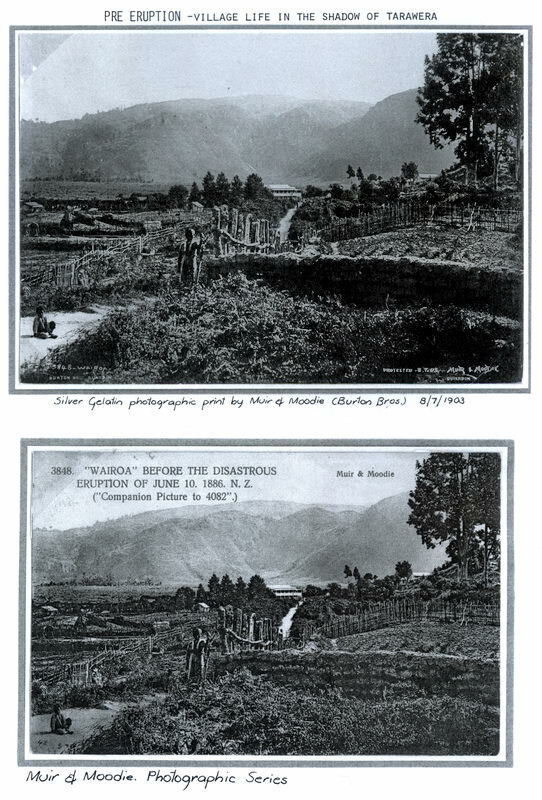 He has been involved in research and publications in the field of postcard publishers and photographers and was co-author of a monograph on the New Zealand Graphic Series; Laurence Eagle & William Main (2000) New Zealand Graphic Series: Stereoscopic Cards and Postcards published by Laurence Eagle. He compiled and published New Zealand Panoramic Photography by Gladys Goodall (2002) on the coloured postcards of Gladys while she was working for Whitcombe and Tombs, and Photography by Gladys Goodall (2002) Christchurch on her black and white cards of the South Island. He has also contributed many cards to authors of books about postcards, especially books by William (Bill) Main. He also donated images for Graham Stewart’s book Portrait of a Nation. It is with much regret that the Society notes the passing of John Wilson, Timaru. A keen philatelist and postcard collector, John has supported the hobby for many years, and will be badly missed. 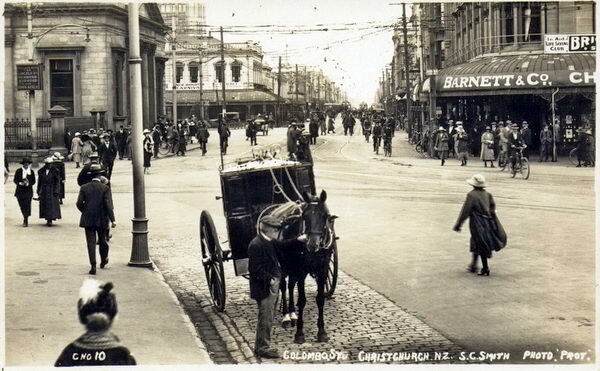 In his article ‘Empire Patriotism & Early New Zealand Non-Official Postcards’ [Postcard Pillar Annual – February 2011] Barry Hancox refers to the Weekly Press [Christchurch] producing a series of four postcards in late 1901. 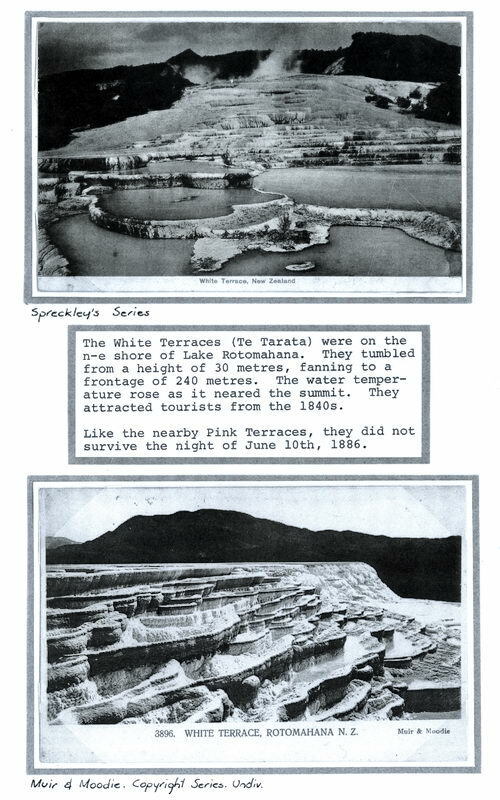 The Weekly Press 22 January 1902 [page 50] states that a set of 12 views was available. I illustrated four of these in New Zealand Antarctic Postal History to 1941, [pub Philatelic Foundation Christchurch (Inc), 1997], but have not seen any of the rest of the series. Margery Wharton, compiler of Postcards of Antarctic Expeditions A Catalogue: 1898 – 1958 [published 1998] illustrates the same four cards as I did. Another series of 12 cards was produced by the Weekly Press early in 1904, on the return of the ‘Second Relief Expedition’. In this series the illustrations are on the reverse only, and are of scenes in the Antarctic. The 12 are illustrated in the same publication. You may wonder what this is about, but if you know even a little about computers, you can type this in, and find out what member Eric Diamond is doing. Eric amazed us at the Tauranga Convention with his plan to sell up and pack up and start walking the length of NZ starting on Stewart Island. Why not have a look, and perhaps even provide some sponsorship support ? Please contact Gary Davies. Email ccbnq@optusnet.com.au or Phone 0427 827 098 (Aust. Time = NZ time LESS 3 hours). Note from Angela Leigh at the Givors Fair in France. 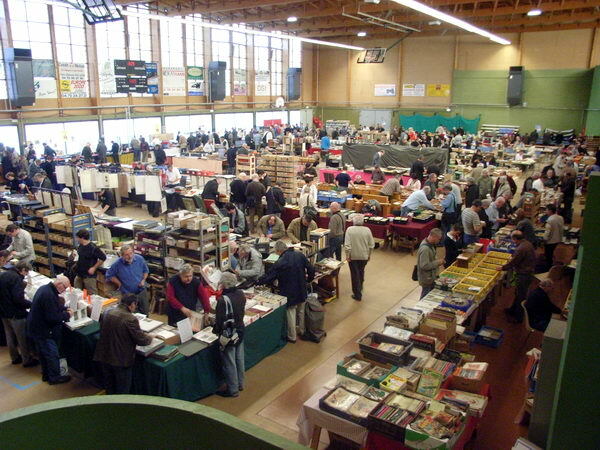 The fair was split into two large rooms. There were over 120 dealers and the rooms were quite busy. Apparently three or four years ago there were five rooms full of dealers and tents outside with stall-holders. Unfortunately the prices for all the postcards were unbelievably high and we struggled to find NZ cards anywhere, let alone at a reasonable price. Also there were not many cards I had not seen before. 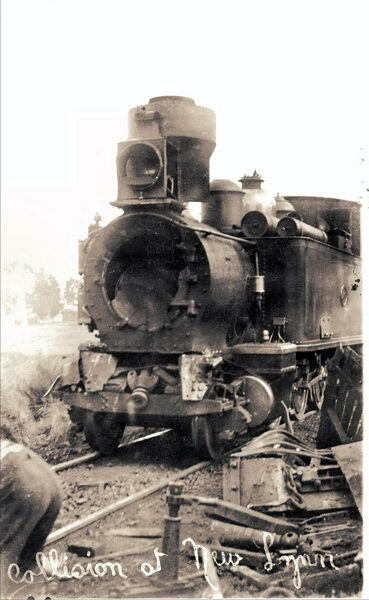 A passenger train of eight carriages from Henderson to Auckland collided with a goods train with passenger car close to a bridge at the northern end of the New Lynn station. There was a heavy fog at the time. The second and third carriages of the passenger train were telescoped, one passenger was seriously injured and a number sustained minor injuries including the driver of the passenger train. It was lucky that the passenger carriages did not fall from the bridge over the Whau Stream, the bed of which was 15 metres below the track. The two trains were due to cross at New Lynn. The usual practice was for the goods train to take water from a tank at the north end of the yard. The train would draw ahead beyond the points, then set back onto the loop to allow the passenger train to pass. The driver of the goods train first saw the passenger train when it was on the bridge. He immediately reversed his engine and travelled about two wagon lengths when he was hit by the engine of the passenger train. The home signal was off, but was hidden from the train by fog. On 4 June a deputation presented a petition to the Minister for Railways. It was signed by over 70 passengers who were on the train requesting that a public enquiry be held into the collision. However, an error was made in the use of the word “public enquiry” instead of “Parliamentary enquiry”. 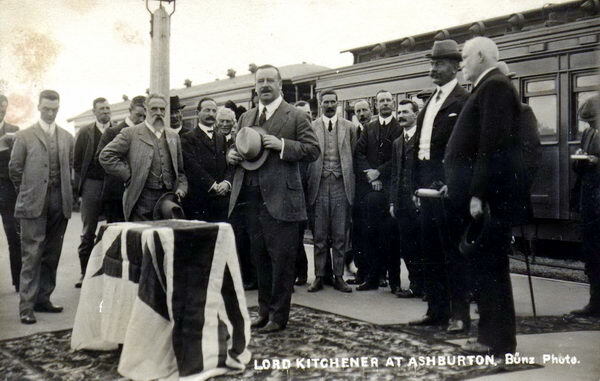 The petition was amended and was to be heard by the Railway Committee of the House. In the meantime, a Railway Departmental Enquiry had been completed. Both the driver of the colliding train and the New Lynn tablet porter were dismissed. Both appealed the decision. On 23-10-1913 the report of the Railways Committee was presented to the House of Representatives. It found that passenger train Driver Corrich was guilty of an error of judgement in not slowing down early enough to avoid over running the danger signal. There was no blame attached to Porter Mortimer. It was recommended he be exonerated. As for Driver Corrich, owing to his youth and his not being of ripe experience he was reinstated in the service in a lower position for a time. In the Railways Classification list as at 1-4-1913 Corrich was shown as fireman with nine years and five months service and Mortimer as a porter with four years and two months service. In the list as at 1-4-1914, Corrich’s name did not appear either as a cleaner, fireman or driver so it is presumed he was not reappointed. Mortimer’s name did appear as a porter and he had lost no seniority. 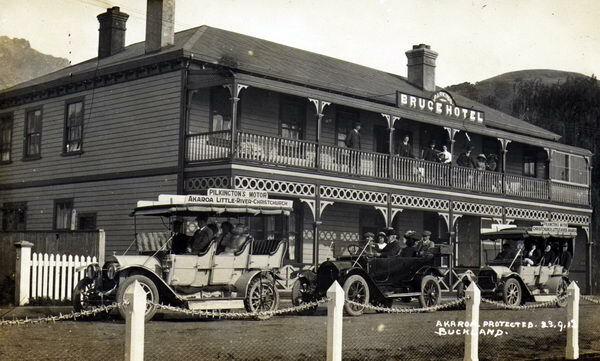 Corrich was an acting driver at the time. I have no idea for how long he had been in that position, but it could not have been very long as the Railways Committee said he was not of ripe experience. Sources; N Z Herald, AJHR D3. The Duke and Duchess of Cornwall and York (later King George V and Queen Mary) made only the second visit to New Zealand by a British royal family member in 1901. They received a welcome from Rotorua Maori and were later guided around the thermal reserve at Whakarewarewa by Guides Sophia and Maggie Papakura. 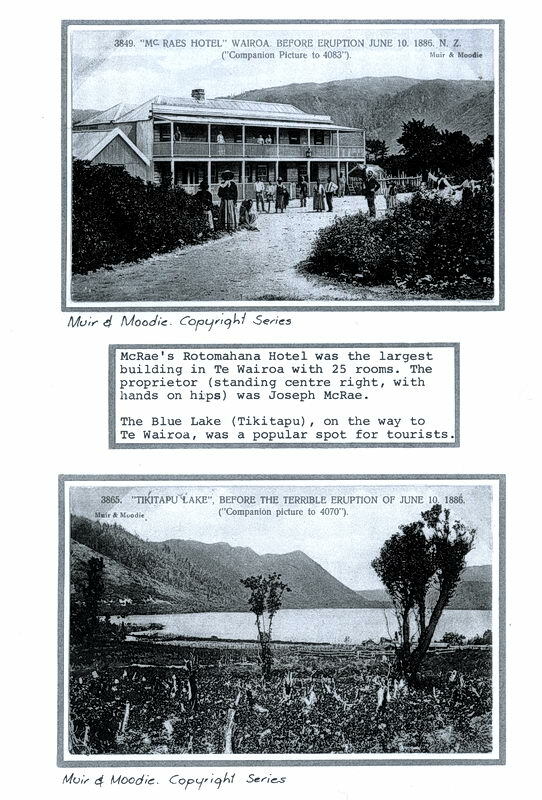 The Duke was so impressed by Guide Maggie (Makereti Thom) that in 1911 she was invited to bring a party of Maori to Great Britain as part of his coronial celebrations. This she duly did, taking a party of 25 to England via Sydney (although one died on the trip over). In an effort to publicise their presence at the exhibition a set of postcards showing various elements of the group was commissioned. The photographs on which they were based were taken by Argent Archer and printed by Miles of London. It is unclear who was responsible for the Europeanising of many of the subjects, as certainly, in the smaller groups particularly, one could be forgiven for thinking they were looking at Europeans in Maori or American Indian costume. The list of cards above is based on the collections of Harry Palmer, the late Chas Lily and the author. Chas commented that he spent 40+ years trying to collect this series and had only amassed 7 cards in total as they were hard to find. There may have been other cards produced in the series, although it may well be that it was just a set of 10 (as at least 2 examples of each above are known). The cards were printed by Miles of London, using a multi-colour letterpress method. 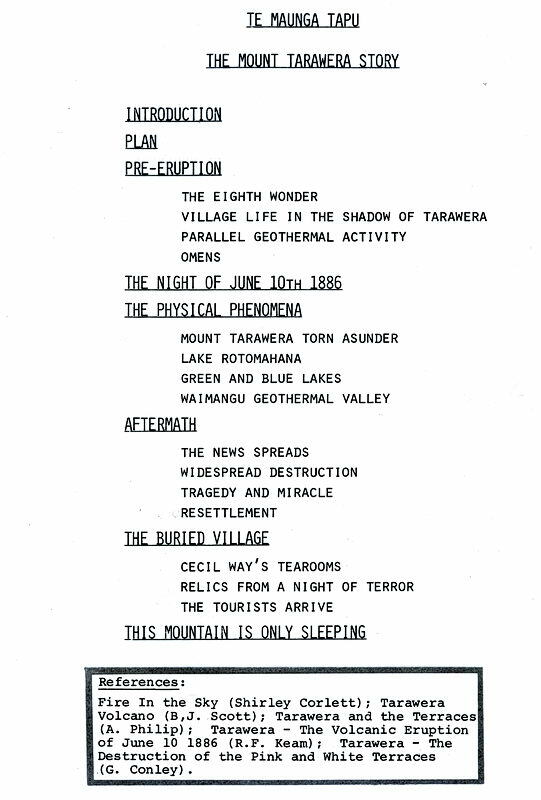 There is no detail available on how they were distributed, although it seems likely that the group planned on selling them at the exhibition they were attending (as they did for tourists visiting Whakarewarewa). Originally the group were to appear at the Festival of Empires Exhibition but arrangements fell through when English authorities deemed the Maori village a fire hazard, and they were forced to relocate to the Coronation Exhibition at White City in Shepherd’s Bush, London. This exhibition was not well patronised, owing to a heat wave at the time and the group were forced to split up, travelling farther afield to earn the necessary funds to live on. The postcards were over-printed on the back to show the details of upcoming shows, which were then distributed around the local region to help advertise their presence. The tour ended in failure and it was only after a grant of money from a number of Guide Maggie’s patrons and friends that they were able to return home to New Zealand. Born in Woolwich, Archer opened his first photographic studio in 1888, eventually moving to Kensington in 1894, a location with which he is closely associated. He was involved in photographing elements of Queen Victoria’s Diamond Jubilee celebrations and was to become a favourite photographer of the royal family. He became more famous with the general public through his photographs of the 1000 Mile Trail – a major car rally aimed at proving the place of the motor vehicle on British roads. He was to establish himself as a photographer of automobiles and military themes, the latter leading to a 7 page article; How military photographs are taken - a chat with Mr. Argent Archer, New Penny Magazine, Vol 7 (1900). 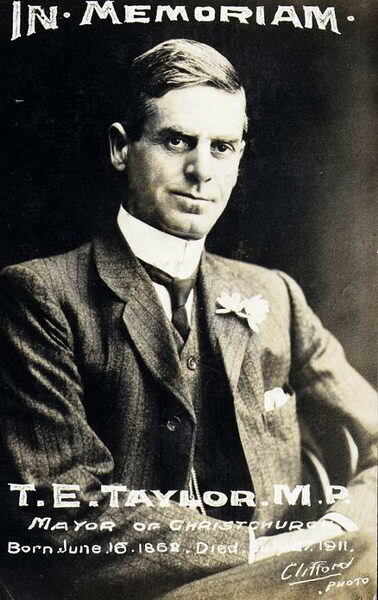 Archer appears to not have been a good business man, with numerous court judgements against him between 1895 and 1931, the lowest point perhaps being his bankruptcy in April 1911. 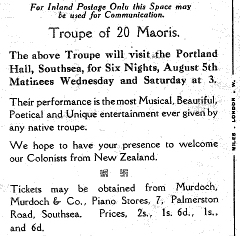 How he came to be involved in the Kia Ora postcards is not recorded, although one can surmise it was through his royal connections. Archer died of heart disease in 1932. Starting opposite are the first few pages of Yvonne’s exhibit. The last issue of the Postcard Pillar featured Bruce Isted’s complete 8 page exhibit. 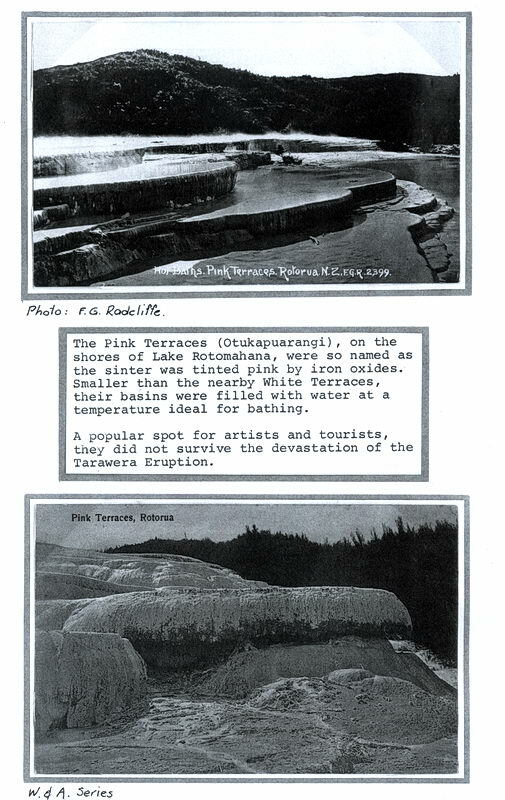 It was an example of an exhibit of a type of postcard for a particular area, Wanganui. Yvonne’s exhibit is an example of a topographical exhibit. ie the features or history of a town, city or geographical region or place, or an event; in this example, a volcanic eruption. Yvonne has an artist’s flair, which helps immensely with the attractiveness of this exhibit, but it also has a strong storyline. Note the use of a plan on the title page, a requirement for any type of exhibit. As Bruce invited you in his article, if any of you are contemplating taking up the challenge of postcard exhibiting, I’d say go for it ! 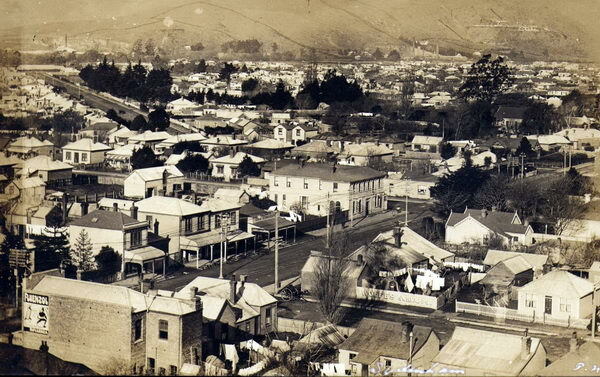 Imagine you are a citizen of Christchurch in the year 1911. You live in the second largest city in a comparatively prosperous country. 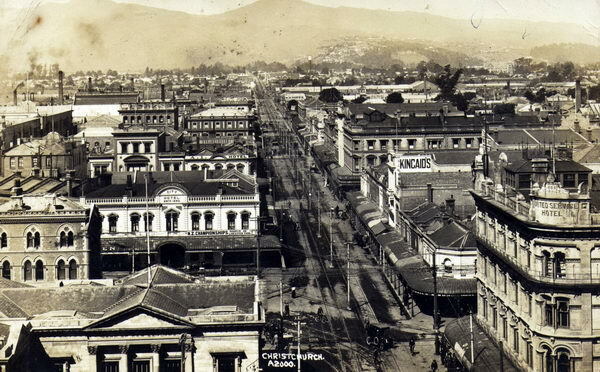 In 1911, 80,000 people lived in Christchurch, 102,000 in Auckland, 70,000 in Wellington and 64,000 in Dunedin; the population of the whole country was just 1 million, 44% in the South Island and 56% in the North Island. Just 4 years earlier the city had held a very successful international exhibition. It was the centre of a large and productive pastoral and agricultural area. Industry flourished in the city. Most people lived a quite comfortable life, even if only a few were really wealthy. Most were of British origin and support for Britain and the British Empire was strong. 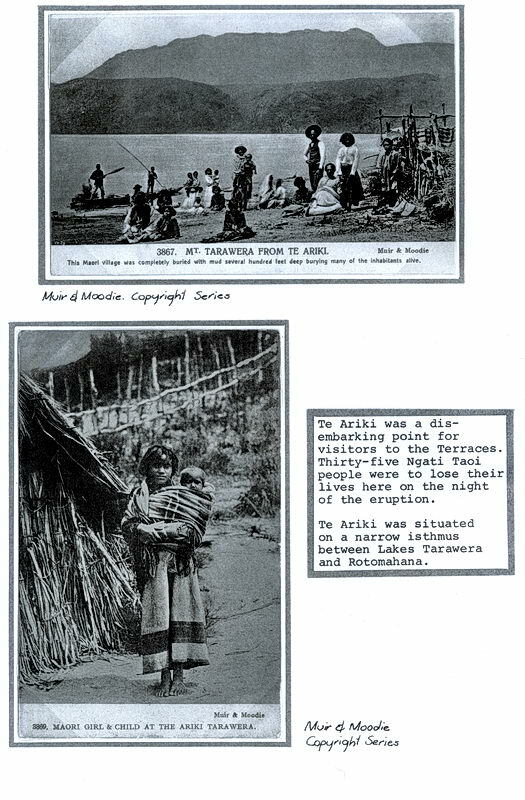 Very few Maori lived in the city or the surrounding area at this time; in fact, of New Zealand’s total Maori population of 50,000 in 1911, just 3,000 lived in the whole of the South Island. 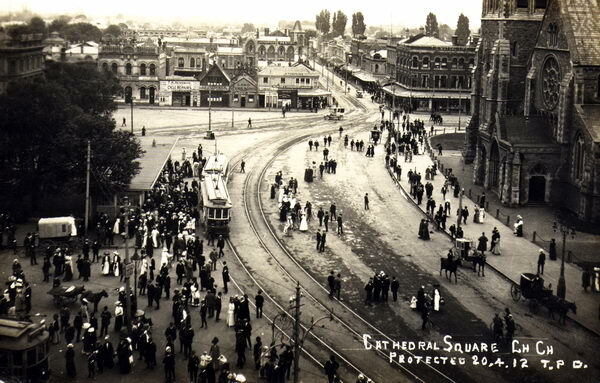 Christchurch had a reputation for being the most “English” of New Zealand’s cities. 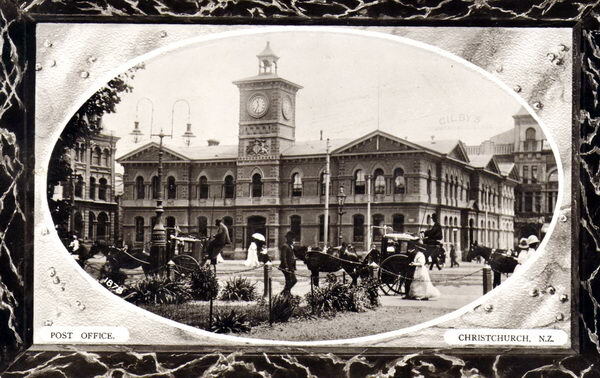 The founders of the Christchurch Philatelic Society would have been very familiar with postcards, both the standard plain Post Office issue and the commercially produced pictorial type (without imprinted stamp) which were available in great variety from stationers, tobacconists, itinerant street sellers, etc. Plain Post Office postcards, imprinted with a postage stamp, had been around in New Zealand for 35 years (the first one having been issued in 1876). In 1911 this type of card was still extensively used for commercial or administrative purposes, where privacy was not a primary consideration – for example, to advertise new products, to advise despatch of goods, to advise that a representative would be calling, or to act as a reminder of meetings. The version in use in 1911 was a ½d blue postcard with an imprinted stamp of King Edward VII (who had died in May 1910). The new king, George V, was not crowned until 22 June 1911. 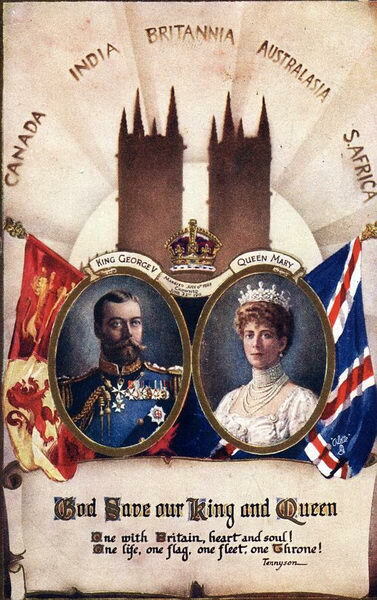 The ½d King Edward postcard continued in use until 1915. Pictorial privately produced postcards were popular and very widely used in 1911. The craze for pictorial postcards had started in Europe in the 1890s. They did not begin to be widely used in New Zealand until about 1903 and from then until the First World War, huge numbers of them were produced and sent through the post. By about 1905 they were available in such variety and profusion that many people began to collect them in albums, whether they had been sent through the post or not. The designs were often very attractive and the cards were cheap: typical prices were between 1d and 3d each, sometimes up to 6d for particularly ornate cards, so even working class people could afford to buy them and to collect them. 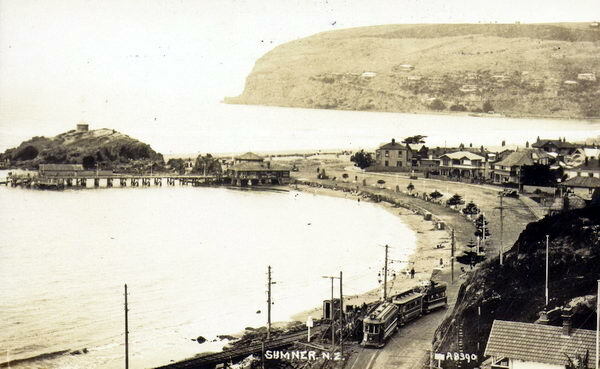 Postcards were also an effective means of communication in the days before most people had telephones (the widespread installation of phones in private homes did not occur in New Zealand until the mid-1920s). There were two mail deliveries a day in the metropolitan areas so it was possible to send someone a postcard in the morning to arrange a meeting in the afternoon or evening – and you could be sure the recipient would get the message in time. 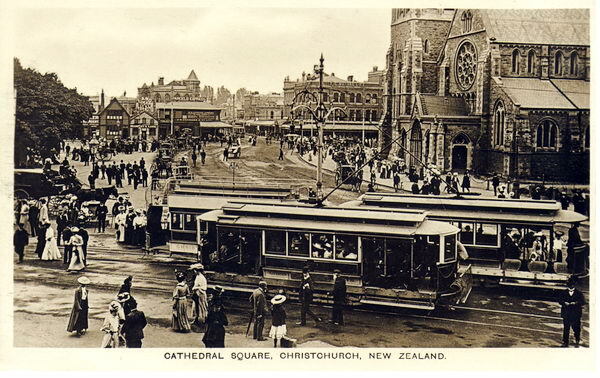 In 1911 the cost of sending a postcard (plain or pictorial) within New Zealand was just ½d (whereas a letter cost 1d). This low rate had been in force since December 1907. Previously postcards had cost 1d to post, the same as the letter rate, although until December 1907 it had been possible to send a postcard at the cheaper ½d “printed matter” rate, providing only a short “formula” message was added. This restriction regarding the message was removed from 2 December 1907. From July 1903 it became allowed to write a message on the left half of the address side of postcards (previously that side was devoted to the address only). This meant that the picture or illustration could occupy the whole of the other side. 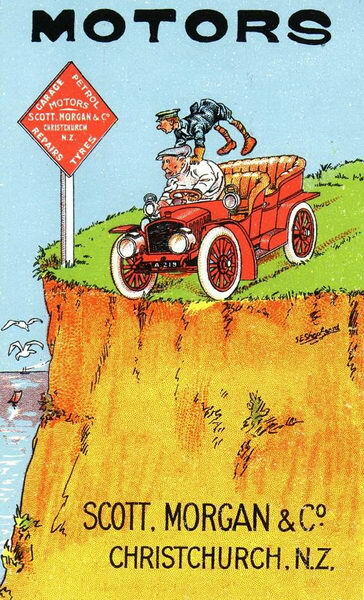 Very quickly manufacturers began producing cards in the new format and almost all New Zealand postcards produced from about 1905 onwards are of the “divided back” type. 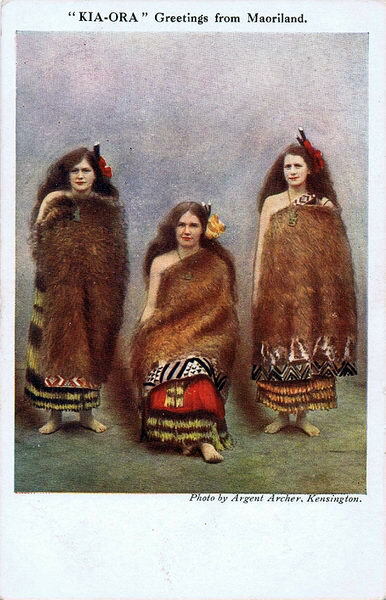 The standard size of postcards in New Zealand (set by Post Office regulation) was 5½ inches by 3½ inches (about 14cm by 9cm) and had been since 1898. This was the case in most of the rest of the world at that time too. Most postcards published in New Zealand until 1908 were printed abroad in large batches (typically at least 500 at a time), notably in Germany and Austria, which offered quality at an attractive price, and also in Britain. Cards printed in New Zealand in this period tended to be of lesser printing quality (though there were exceptions). New Zealand also imported huge quantities of pictorial postcards published overseas, especially from Britain. Tastes here were very similar to those in Britain. 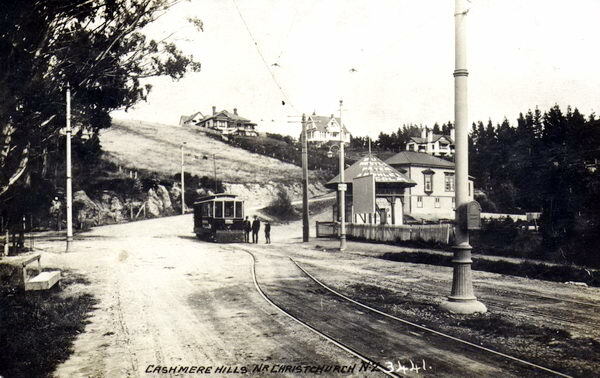 From about 1908 a change began in New Zealand towards cards with a “real photo” finish. This particularly applied to photographic view cards or event cards. If well done, the clarity of these cards was superior to the earlier printed cards. Using a photomechanical printer, this new type of card could be produced quickly in considerable numbers. Alternatively, local photographers could use manual methods to produce “real photo” postcards (using specially sensitised card stock) one by one from photographic negatives. This enabled comparatively small editions (typically 20 to 50 cards) to be produced quickly for local sale (an option that had not been available previously). 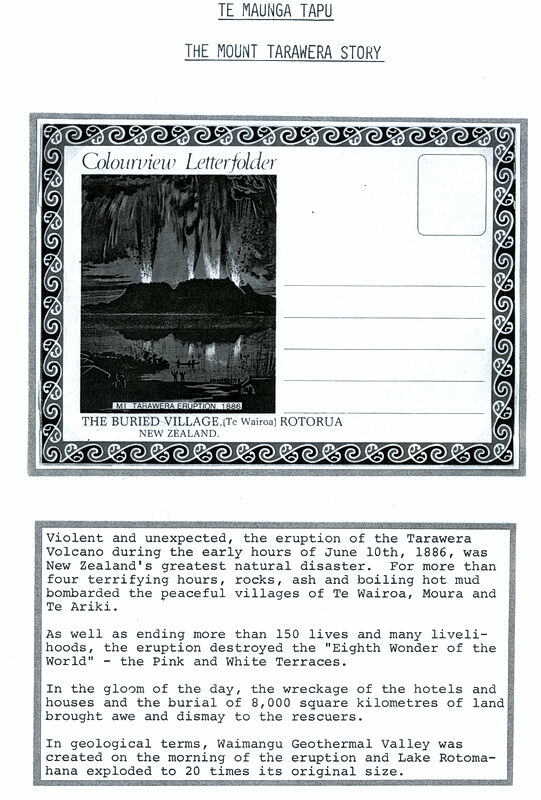 This technical advance meant that, from about 1908 onwards, “real photo” view cards and event cards began to predominate and this was certainly the case by 1911, when the Christchurch Philatelic Society was founded. Amateur photographers could even produce “real photo” postcards from their own snapshots, using suitable commercially available card stock, and they could write their own captions on the negatives if they had the right camera! Not infrequently one comes across amateur cards which have faded badly today because the original producer did not have the requisite expertise to use the image fixing agent correctly. 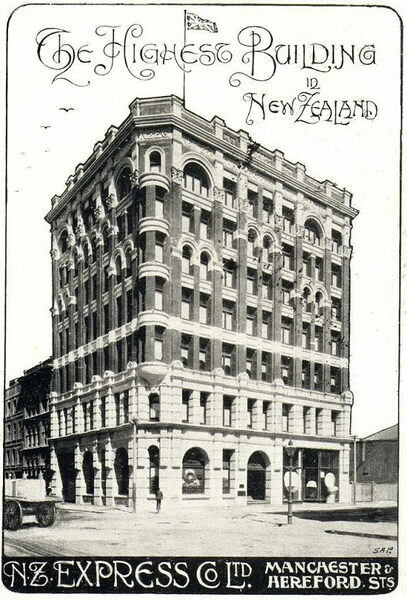 The New Zealand Post & Telegraph Department kept detailed records of the number of postcards posted in New Zealand and received from abroad in the early 1900s. As an indication of how rapidly the postcard collecting craze grew, in 1896 approximately 1.22 million were posted in New Zealand and only 5,000 received from abroad. These would have been almost entirely plain (i.e. non-pictorial) government-issued cards. By 1902 the figures were still only 1.24 million and 63,000 respectively. These figures would have included a small number of private pictorial cards. Five years later, in 1907, the relevant figures were 6.1 million and 630,000 and almost all of this large increase would have been due to the craze for pictorial postcards. 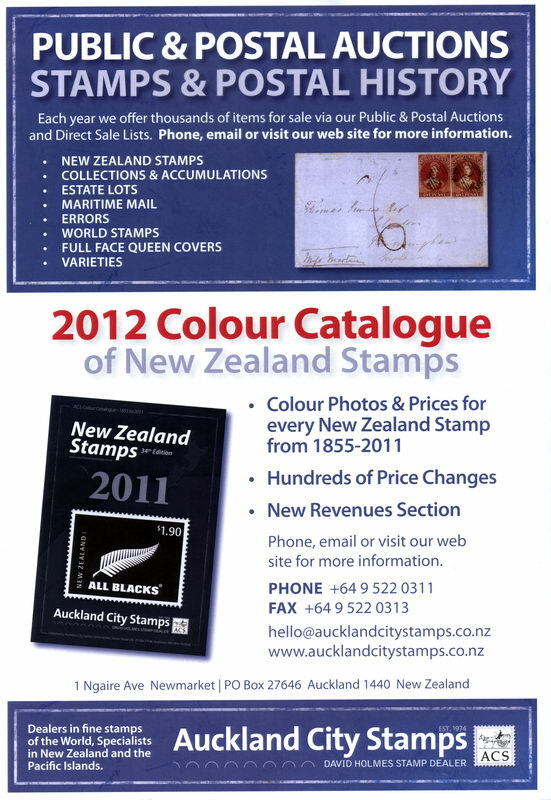 The peak years were 1909 and 1910, when around 8 million postcards were posted in New Zealand and received from abroad. In 1911 the figure was still around 6.83 million. Thereafter it fell gradually to around 3.9 million in the years 1918-20 (by which time the postage rate for postcards had risen substantially). It needs to be made clear that the Post Office figures only represent cards posted unenclosed (the only ones they could count!). Huge numbers were also sent inside envelopes – probably as many as sent unenclosed. In addition, large numbers of cards were purchased and put straight into albums, unused. Picture postcard collecting was a huge craze around the world in the years before World War One. For example, in the year 1905, 734 million postcards (mostly pictorial) were posted in Britain, 770 million in the USA and 1,161 million in Germany. In the same year just under 3 million were posted in New Zealand. 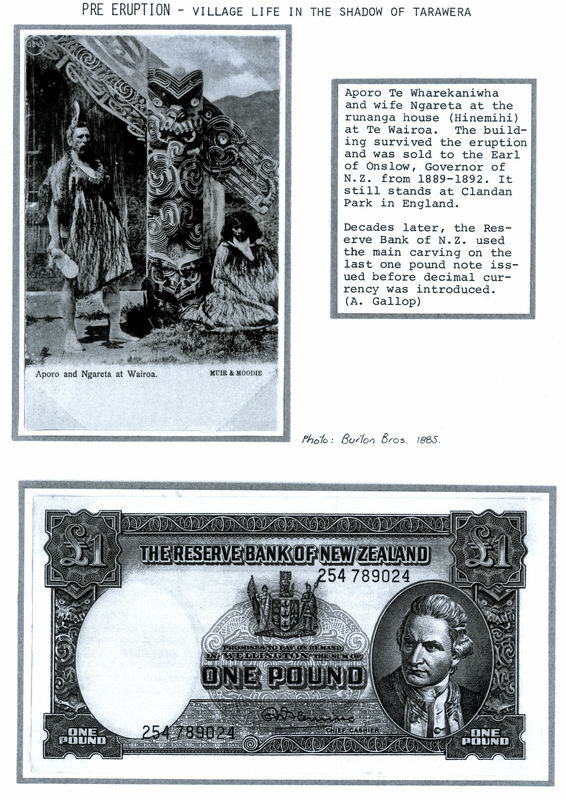 These figures help put the relative scarcity of early New Zealand postcards today in context. Linwood Supply Stores, c.1910, the grocery business of C W Dawson (formerly J Tisch). 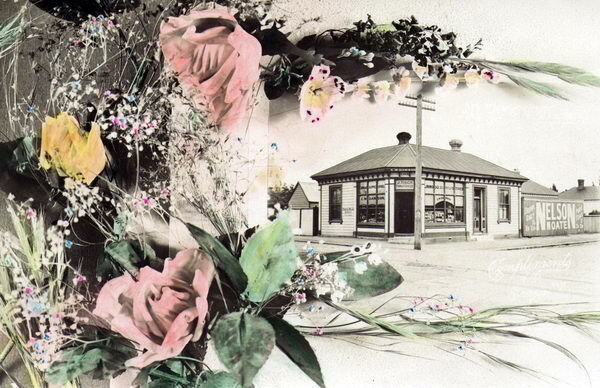 Hand-coloured photomontage card with flowers. An almost invisible inscription says “Compliments of the Season”, so this card was most probably given away to customers. 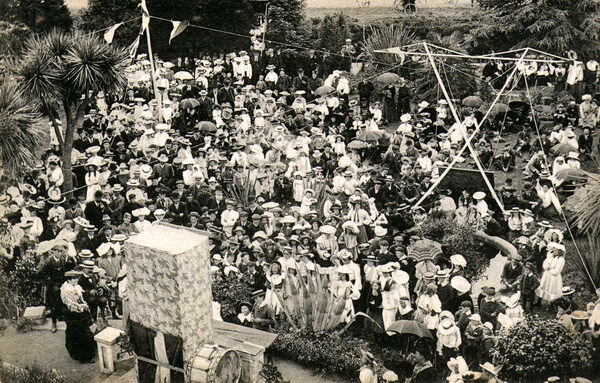 Punch and Judy Show, Wainoni Park, Christchurch, c.1906. Wainoni Park was Professor Alexander Bickerton’s private amusement park. 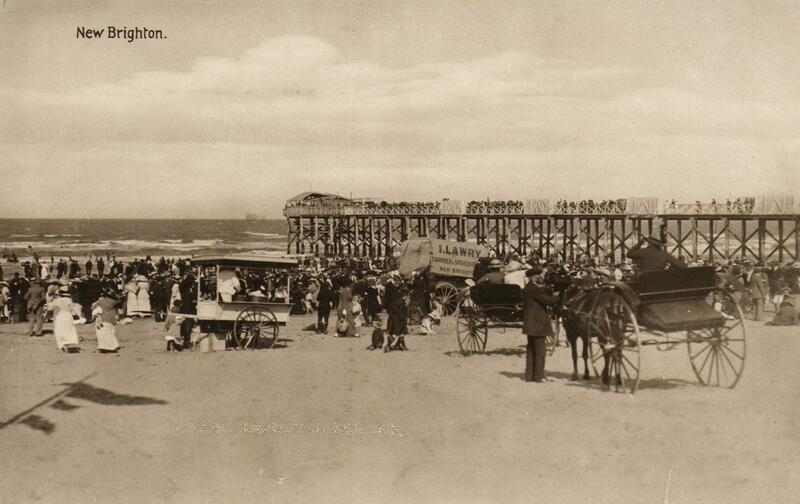 It was very popular during the Edwardian years, with trams running right to the gates. Scott, Morgan & Co Motors. “Garage, petrol, repairs, tyres” says the sign. This Christchurch business has adapted a comic postcard by famous English illustrator G E Shepheard for an advertising card.